KFJC’s away team arrived on the scene of the Icelandic Underground in Reykjavík Iceland ready to broadcast two full days of live music. Together with underground Icelandic music distribution service MYRKFÆLNI, we broadcast the sights and sounds of a diverse line-up of genre-busting Icelandic artists. The two-day festival took place at Húrra in Reykjavík Iceland. 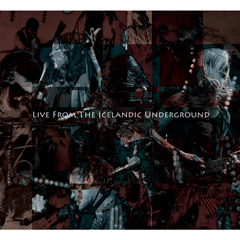 The KFJC 89.7 FM Live from the Iceland Music Underground Combo CD/Flash Drive is available as our thanks for your generous donation of $45.00 or more.